A multinational solar developer is accepting applications for job opportunities at its $400 million renewable energy project in Central Queensland. Fotowatio Renewable Ventures (FRV) collecting expressions of interest for its Clare Solar Farm Project, 35km southwest of Ayr. FRV requires applicants to provide a brief profile about themselves, including why they are interested in a career. The project involves building the first utility-scale solar generation facility in Australia with a capacity of 100 MW AC (or 125 MW DC). The facility comprises of thousands of photo voltaic panels across 238 out of a total 340 hectares of privately held farmland. It will power up to 42,000 homes when fully operational. Downer Australia won the engineering, procurement and construction (EPC) as well as the two-year operations and maintenance contract. Construction expected to start within weeks and take around 12 months to complete. In 2016, FRV signed a power purchasing agreement with Origin Energy for all electricity and large scale renewable generation certificates generated by the facility. FRV previously entered into a connection agreement with Powerlink Queensland, connecting the project to the grid via the Clare South Substation. 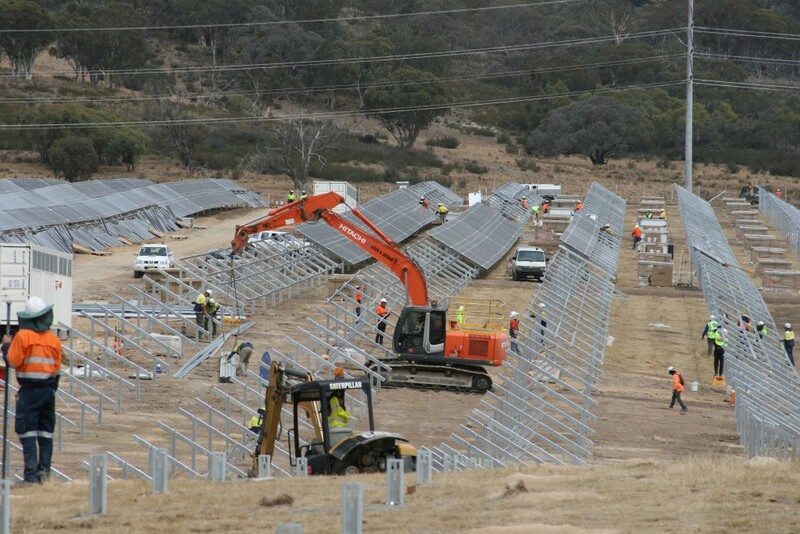 “By planning projects with good grid connection prospects, high levels of solar irradiation and using technology that maximises generation output over the course of the day, we can better meet our customers’ needs whilst satisfying lender provisions relating to project risk,” FRV managing director Cameron Garnsworthy says. The project will create 200 jobs during construction. FRV is also planning to invest in an additional 36 MW (AC) Clare II Solar Farm Project, with a development approval application expected to be lodged shortly.